Are there side effects to skydiving? More than you know! 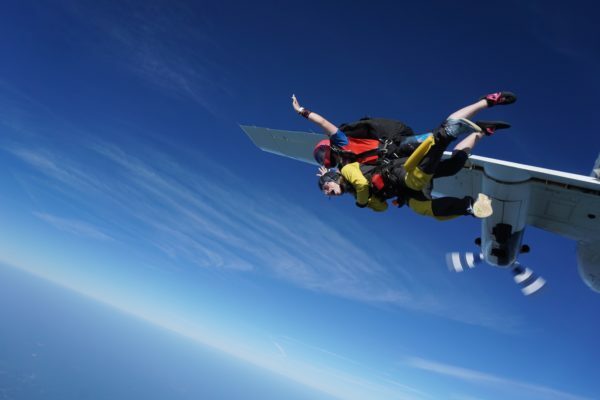 If you’ve not yet made a skydive, you may want to lean in as we’re going to share some insights that only those who have jumped can understand – this is so much more than an adventure ride! Firstly, if you think your skydive is going to be something equivalent to a roller coaster – you’re dead wrong. You won’t walk away from this experience thinking, “that was fun.” Skydiving is going to rank as one of your top five life experiences – up there with childbirth, marriage (or divorce) or winning the lottery! This isn’t hyperbole… this is the real deal and the reason is part chemistry and where you are in your life, today. Let’s break it down! Exiting is a huge rush! The first great thing about skydiving is you’re going to be tested, mentally and physically. You will be faced with making a huge decision – should you jump or sit? Contrary to popular belief, no one is going to throw you out of the plane. The decision is up to you and it’s not an easy decision walking towards the open door of an airplane while the frigid rush of air hits you in the face at a mind-numbing 14,000 feet. Everything in your being is against this decision! So, you will be tested. You can back out and ride the plane down (which does happen on occasion). Feelings of empowerment wash over you when you achieve something by making a conscious effort to go through discomfort to reach a goal. That’s what skydiving is going to be. 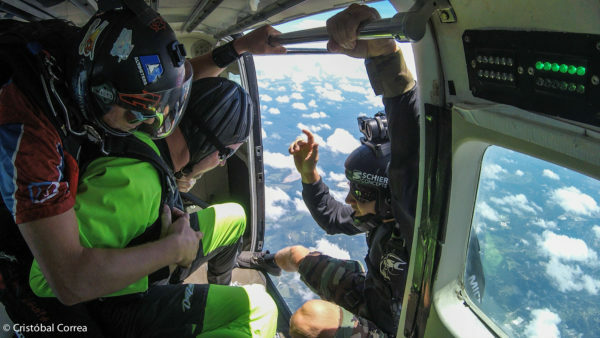 As you sit in the door of the aircraft and your instructor asks, “Are you ready to skydive?”, your positive acknowledgment is going to leave a lasting effect on you – not immediately, but for weeks after as the significance of that decision sinks in. You never imagined yourself to be an adventurist, but it’s empowering to know that deep down, you’ve got the stuff to do big things in your life! If you’re able to do this, what other big things would you like to achieve but haven’t accomplished because you’ve let your own personal doubts deter you? If skydiving does anything, it will challenge you to do more with your life. There’s something physical that takes place that will equate to a happiness euphoria and that’s the incredible high dosage of dopamine that will wash over your brain and ooze from your pores. Dopamine is the natural happiness drug that eases stress and ups the happiness quotient by 10. When people ask the all too common question, “Why would anyone jump from a perfectly good plane?” The real answer is “For the dopamine!” No drug or level of exercise (unless you win Olympic gold) will make you feel this happy and feelings of happiness is addictive! When you reflect on your skydive, you probably won’t think of the free fall, but rather the time spent under your parachute because that’s the moment where thoughts of life perspective occurs. There is clarity in this space as you contemplate if the things that burden you are worth it and how the life you wish to lead are just a few conscious decisions away. Skydiving forces you to step away from your worries and allows for clarity unfettered by the crap that awaits you back on earth. This perspective is invaluable and for some have been life-changing. In the last 32 years, we’ve had the privilege to jump with tens of thousands of first-timers and our experience has taught us that skydiving is a special event that has positive side effects more than most would anticipate. Too often, the media focuses on when things go wrong, but seldom look for the stories that go beyond the superficial to learn how lives are positively impacted by a sport that gives much more than it takes. 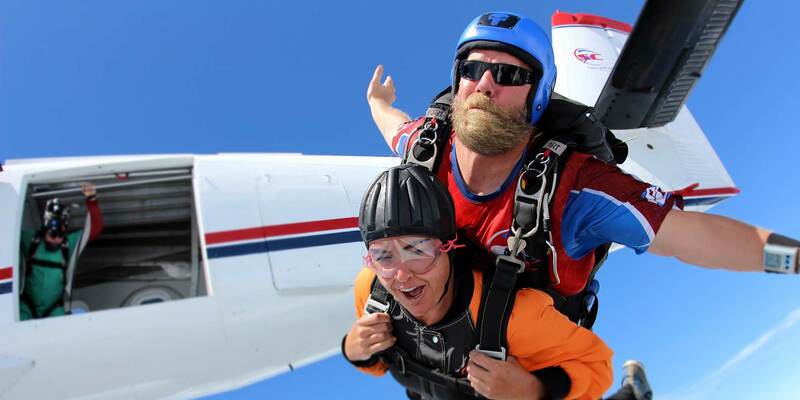 We hope you’ll join us to experience first hand, the positive side effects of skydiving! Learn more about Tandem Skydiving at Skydive Carolina! How Long Does a Skydiving License Last?